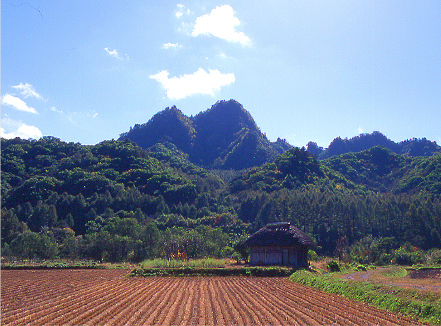 was opened in Kitakata city by Shingo and Hisa Ban Nai, a married Kitakata local, and was operating as local favorites. 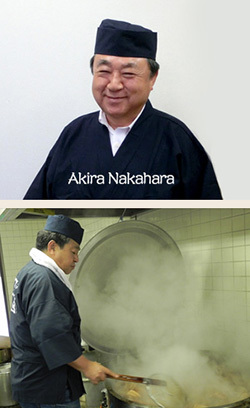 Akira Nakahara, whom originally a craftsman of Soba noodle, visited Kitakata city and was fascinated by Ban Nai's Kitakata Ramen for its taste and quality. 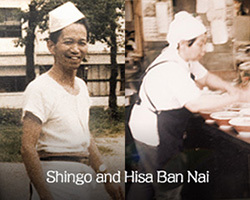 After several tries to work at Ban Nai, and showing his passion for learning at Ban Nai Shokudo, he was accepted by Ban Nai family. 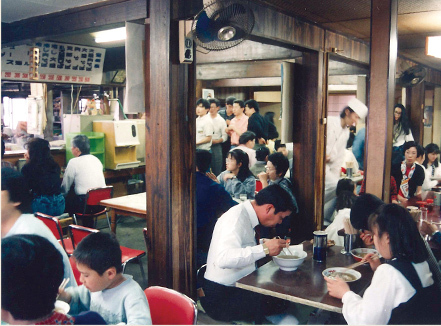 After long training and gaining trusts from Ban Nai family, Akira was allowed to bring Ban Nai's Ramen to Tokyo, and opened thefirst Kitakata Ramen Ban Nai in Shinbashi Tokyo. Currently, there are 57 locations of Kitakata Ramen Ban Nai throughout Japan. Kitakata Ramen, one of the Big 3 Local Ramen of Japan (the other 2 are Sapporo and Hakata), is from a very small city of Kitakata of northern Japan. Although the population of Kitakata city is only approx. 51,000, there are more than 130 Ramen eateries and 4,000 “Kura”, breweries of local Sake, Shoyu (Soy Sauce), and Miso (fermented bean paste). 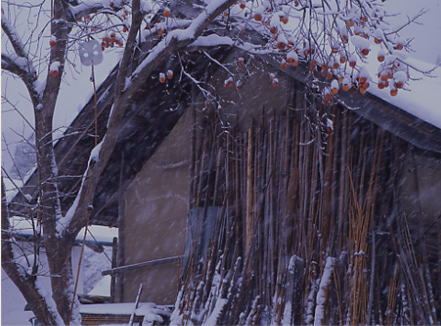 Kitakata Ramen is widely known and beloved for its distinctive noodle, made by local noodle manufactures, and flavorful soup made with the mountain spring water from neighboring Iide Mountain. 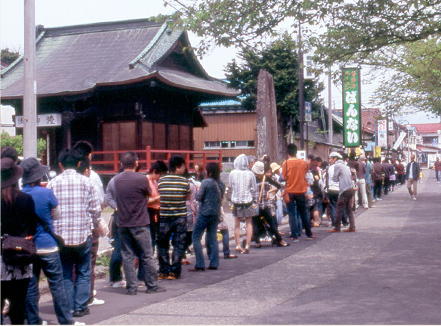 “Ban Nai” is the most popular and well-known eatery of Kitakata Ramen with history for over half a century. With flat, wide and hand-crumpled curly noodle, clear but flavorful broth, and signature “Toro Chashu”, Kitakata Ramen Ban Nai has been providing the real Kitakata Ramen.